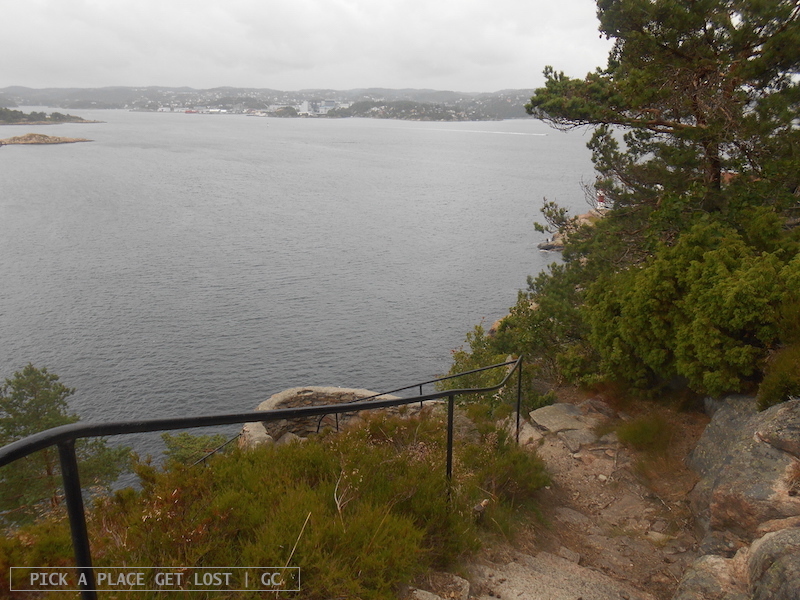 As we got back to Kristiansand from Bragdøy we thought that the sun must have lagged behind, because the light was grey and the sky was white. 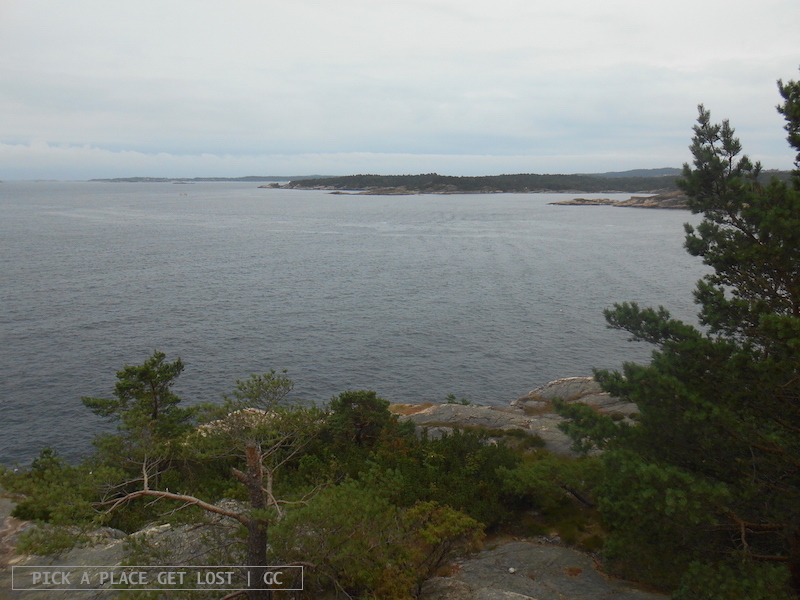 We went straight back to Odderøya, because in the morning we hadn’t had enough time to have a proper look around. It was wise on our part. Odderøya is a popular recreational and hiking area but the crappy weather explained why it was so empty and deserted when we went back. Unlike we’d done in the morning, we followed the main road, past an art gallery and a music shop, until we reached a junction, and we had no clue which way to go. So, instead of turning right or left, we went straight, up the stairs going uphill. We found ourselves on top of the hill, but really, where were we? Turned out, we had just got to the area of the island with the highest concentration of traces of military activity: cannon foundations, barrack ruins, and guardhouses. In the old days there were also a quarantine station (the largest in Northern Europe), a plague hospital and a cholera cemetery. Only in the early 1990s was the island opened as a recreational and hiking area. As you probably can tell by now, we hadn’t really planned our tour around Odderøya, but somehow the island itself kept on revealing its magnificent spots to us one at a time. 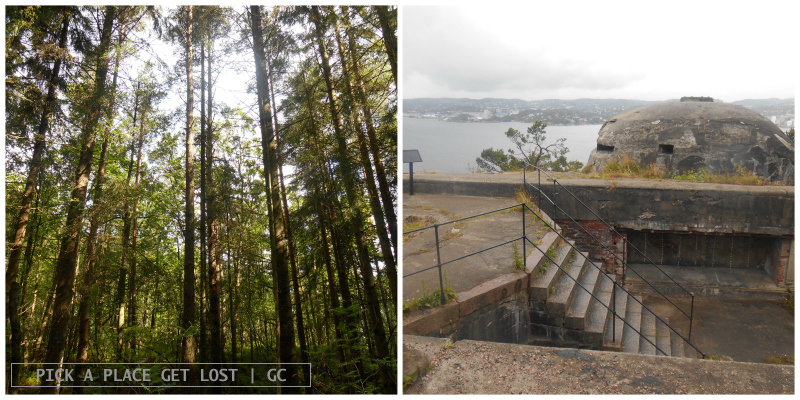 The next in line happened to be Odderøya Fyr (Odderøya Lighthouse), as was written on a wooden sign near the pine trees. What are we waiting for? We followed the trail into the pinewoods. The trail was rather steep, but looked like a blanket of pine leaves. Plus, as I almost forgot to add, it was raining. It didn’t take long for the pine trees on our left side to disappear and be replaced by bare rocks that made the already misty view even more stunning and dramatic. The final stretch of the trail is undoubtedly my most favourite, what with the foggy horizon, the seemingly endless sea and the grey of the rocks, which brought out the green of the pine trees. While going down narrow rocky stairs along the way, I looked up and saw a house and the lighthouse in the distance. The lighthouse was sort of ‘perched’ on a low, protruding rock overlooking the sea, but the heavy rain and the strong wind made the rocks very slippery, so we didn’t stay for as long as we wanted. The steep road we took as we left the lighthouse led to the very same junction we’d come across earlier. With hindsight, if we’d turned right in the first place we’d have got straight to the lighthouse. If we had, though, the walk would certainly have been much less exciting than it was. 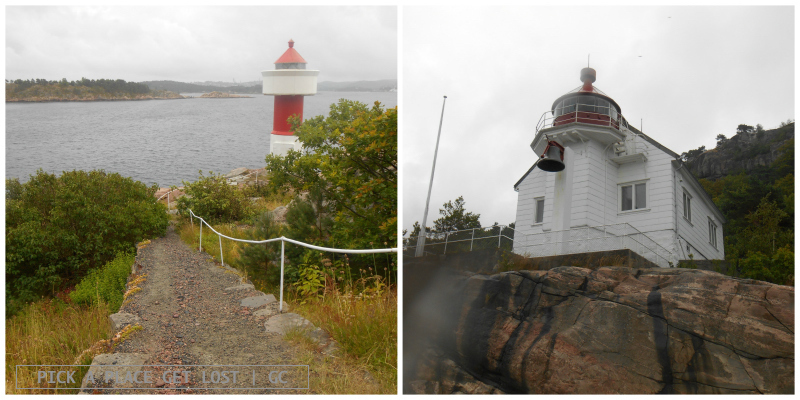 This entry was posted in Norway, Norway 2015 and tagged kristiansand, lighthouse, norway, norwegian riviera, odderoya by Giorgia. Bookmark the permalink.